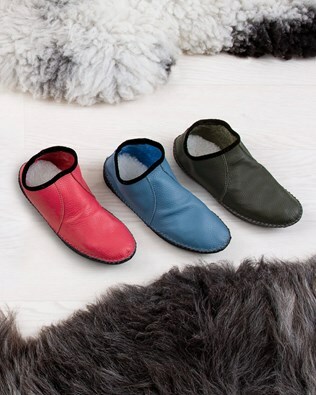 For pure comfort choose our finest sheepskin slippers, now available for women, men and children and in a variety of beautiful styles and earthy colours. The UK is renowned for being cold and wet and this has only ever inspired us to produce the finest and most comfortable sheepskin booties and slippers to keep you warm and comfortable both at home and while outdoors. Enjoy cosy toes everyday with our adorable mules, ballerina pumps, booties and loafers. Whether you’re relaxing, cooking dinner for your family or spending time with your little ones, there is nothing quite like the feeling of sheepskin hugging your feet. 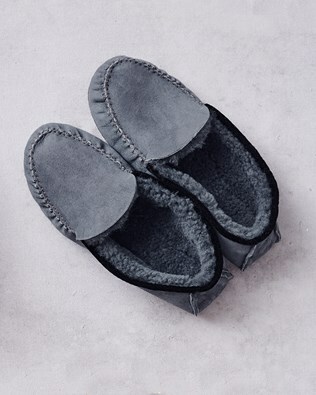 Take a look at some of our beautiful handmade sheepskin slippers designed to make you feel as though you’re walking on air. Shop men’s, women’s and kid’s luxury sheepskin booties and slippers and enjoy free returns on any UK order. Every pair of sheepskin slippers from Celtic & Co have been created to stand the test of time and provide you with ultimate comfort all year round. For little ones, our adorable sheepskin booties feature a hardwearing sole perfect for playtime, cuffed ankle to keep little toes and ankles warm and are machine washable, so no need to worry about getting messy while having fun. Some of our designs can even be personalised with a name or nick-name which is a perfect option if you’re shopping for a gift. 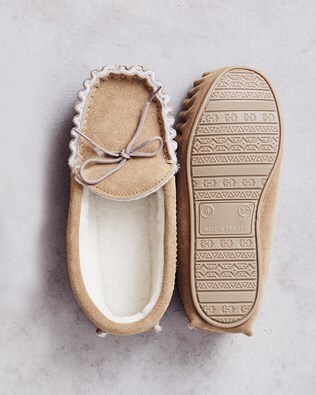 If our traditional sheepskin slippers are not quite to your taste, we have several styles of suede moccasins available, all beautifully lined with the finest sheepskin. Browse through our online collection of slippers for men, women’s booties and mules, and kid’s sheepskin crawler shoes and boots. Find something perfect for yourself or a loved one and give the gift of comfort and warmth.